Given all the variables in the accounting world, there is one thing you can count on: the U.S. Securities and Exchange Commission (SEC) will review the accounting disclosures of all publicly traded companies at least once every three years. Based on that review, your company may or may not receive an SEC comment letter, a public letter typically related to specific financial reporting and accounting practices, disclosures, or lack of disclosures for your company. For companies who do receive an SEC comment letter, here’s another accounting certainty: your initial response is critical. A half-measured approach could send you down a slippery slope of unnecessary exchanges, putting a strain on your company’s resources, time and worst of all, reputation. But there’s good news: this scenario can be avoided with a calculated strategy. Start with these 10 tips that will greatly increase your likelihood of a “one and done” correspondence. Remember, SEC comment letters apply to publically traded companies, meaning that all correspondence is a matter of public record and therefore visible to investors, shareholders and the general public. Insufficient responses will trigger exchanges that are often stretched over the course of weeks and months, all of which reflects poorly on your company’s ability to address accounting issues. Furthermore, the complex and sometimes ambiguous nature of certain requests requires time, attention and input from multiple parties. Drawn-out correspondences can put a tremendous strain on your resources and lead to lots of frustration, so it’s in everyone’s best interest to tackle things correctly from the start. Tip 1: You have 10 days – use them wisely. From the time you receive your letter, the SEC asks for a response within 10 business days. Many companies make the mistake of responding within a day or two, thinking the SEC will “give them credit” for a speedy response. This is simply not the case. A terse explanation will likely to lead to a follow-up letter – so take the full 10 days to understand the accounting request and compose a sufficient reply. Tip 2: Request additional time. As stated in Tip 1, thoroughness matters more than speed. If you feel 10 days isn’t enough, your legal counsel may contact the SEC to request more time. Extensions are almost always granted, and this will give you an additional 20-30 business days to ensure you have time to address all facets of the request in your response. Tip 3: When in doubt, pick up the phone. In many cases, your Accounting team may not completely understand the full scope of the SEC staffer’s request. Beyond that, many find it difficult to articulate those complexities in a written reply. Nothing will resolve this better than an old-fashioned phone call. Particularly for the first correspondence, a phone call give you the chance to break down the details “in plain English” before formalizing them into a letter. Tip 4: Assemble an internal task force. If you receive an SEC comment letter, handle your response in the same way you’d handle a major internal project. Form a direct project team that includes members from your executive team, accounting department, external auditors, legal team and if applicable, the audit committee. In most cases, your accounting team will draft the letter, legal will approve it, and the additional team members will help review and “bless” the response before it goes to the SEC. Tip 5: Leverage past examples. 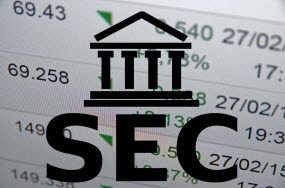 Whatever “theme” prompted the SEC to send you a letter – whether it’s segment reporting, business combination, fair value, liquidity, etc.– there’s a strong likelihood that similar correspondences have occurred in the past. Chances are, someone in your immediate industry was flagged for the same reason. Because such correspondences are public record, you will have access to those initial requests and their follow-up exchanges via the EDGAR (the Electronic Data Gathering, Analysis, and Retrieval) system. You can use these past examples for guidance in crafting your own response. Tip 6: Don’t be a copycat. To build on Tip 5, reviewing past examples from EDGAR can provide insights that help guide your own response to the SEC. However, don’t rely too heavily on them. In other words, avoid copying verbatim another filer’s response to use as your own. While general themes may apply among SEC comment letters, there are many fact patterns (materiality, timing, modified regulations, etc.) that could make your situation entirely unique and therefore warrant the need for additional details. This is a common but easily avoidable mistake. Tip 7: Supply missing disclosures upfront. In many cases, the SEC comment letters will request modified or additional accounting disclosures. It’s a good idea to draft a proposed version of that disclosure in your initial response (as opposed to simply agreeing to include it in your next filing). SEC staffers can review and comment back directly on the acceptability of the proposed disclosure, helping to streamline the process and cut down on unnecessary follow-ups. Tip 8: Think big picture. Remember, your letters are visible to everyone and part of your public disclosure. A poor or unprofessional response, or multiple responses, could be reported on by the press, damage your reputation and make investors uncomfortable. This is particularly important if your stock is sensitive or you are considering a major transaction in the near future. Tip 9: Escalate when necessary. What happens if you absolutely disagree with an SEC comment letter, or believe a request to be unreasonable? Best to resolve it over the phone. You may be able to escalate the matter with an SEC superior, like an SEC branch chief or chief accountant. While this can help provide a new perspective, just be sure to keep the original reviewer involved in the process, as he or she is ultimately responsible for “clearing” the original comment. Tip 10: Reference the appropriate guidance. If you are referred to specific accounting guidance as to why you disclosed something, be sure to reference the appropriate guidance. Then, when crafting your response, be sure to speak to your interpretation of that guidance and how it relates to your situation. Remember, not all companies will receive an SEC comment letter after being reviewed. For those who do, there’s no reason to panic. Use these tips to avoid SEC comment letter headaches, and keep in mind that 8020 Consulting can help you draft and project-manage your correspondence to ensure that the exchange truly is “one and done.” If you have questions or would like to discuss, just click below to connect with us. The Sarbanes-Oxley Act of 2002 (SOX) was passed by U.S. Congress to protect investors from the possibility of fraudulent accounting activities by corporations. The Act was instituted to improve financial disclosures from corporations and prevent accounting fraud. In practical terms, this means the SEC is required to review all publically traded entities at least once every three years. If significant transactions have occurred, such as mergers, acquisitions, IPOs, dispositions or major new accounting pronouncements, companies are subject to more frequent reviews. Brandon Li, CPA, is a finance and accounting leader with over 15 years of experience. He started his career as an auditor with the “Big 4” assisting and then leading audit engagements in a wide range of industries, such as consumer products, financial services, and biotechnology. Prior to joining 8020 Consulting, Brandon served as Director of Financial Reporting & Analysis at Lucky Brand Jeans, as well as years of technical accounting experience with The Walt Disney Company. Brandon is experienced in accounting topics that include: mergers and acquisitions; disposals; asset valuations, asset capitalization, restructuring, impairments, investments, revenue recognition, implementation of new accounting guidance, and financial and accounting policies.